This piccola avventura through various Piedmont wine countries combines a visit to the harmonious vineyards, fields and hill towns of the Monferrato with a tour of the Langhe, the home of Barolo wine. It is designed for those keen to experience Piedmont’s famed eno-gastronomy, but have, purtroppo, only four days at their disposal. We depart from Milan, and drive about an hour and a half through the risotto-rice growing Po River plain. As we cross the Po river, we enter the realm of the Monferrato. Once a powerful independent state in its own right, this region is now known for its Barbera and Grignolino wine production, superb cuisine and serene countryside. Our destination is a village in a little-known corner of the region, where we’ll enjoy a lunch of typical monferrino specialties before walking to our scenic hilltop inn. 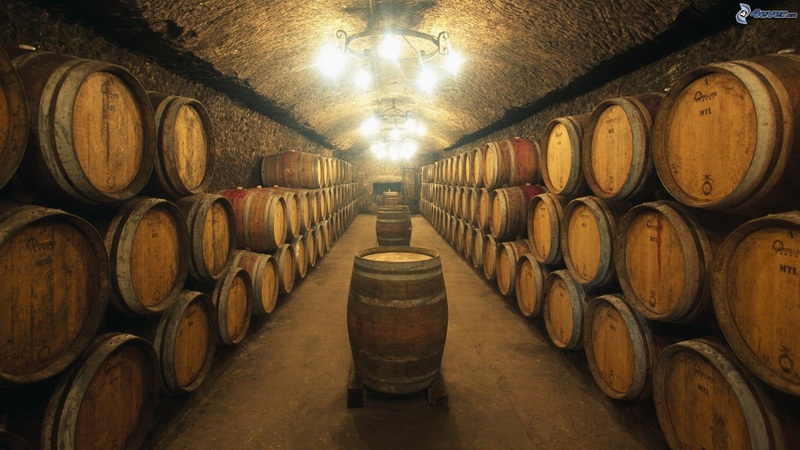 We’ll start our day with a visit to a neighboring hill town, during which we’ll be led by a local resident on a tour underneath the buildings themselves, where a series of wine cellars have been creatively excavated from the rock. After lunch we’ll stop off in the tiny Ruchè production area for a wine tasting, before crossing the Tanaro River and entering into the hills of the Langhe, where the unique Nebbiolo grape achieves its maximum expression in Barolo and Barbaresco wines. We’ll be based in the hill town of La Morra for the next two nights. 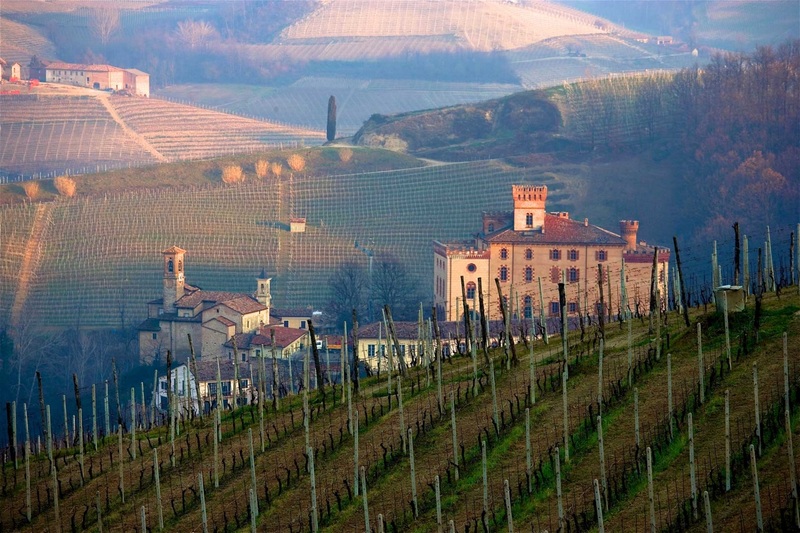 This morning, we’ll stroll amidst cru vineyards and enjoy a tour and tasting at a La Morra Barolo wine producer. Every Barolo village produces wines with different characteristics, thanks to the unique soil composition and sun exposure of the particular vineyard sites. Afterwards, we’ll head across a sea of vineyards towards Serralunga d’Alba and its Gothic castle. There, our delightful hosts will offer us a wine tasting, along with lunch, during which we will enjoy their excellent Serralunga Barolo. During the evening, we’ll have plenty of time to stroll the streets of Alba, the capital of the Langhe. Today we head into the rugged hills of the Upper Langhe, to taste the savory cheese made from the milk of the Langa sheep, a breed that has disappeared from all but a few local farms. Before returning to Milan, we’ll conclude our excursion in bubbly fashion - with a tasting at an Asti spumante and Moscato producer. Group of minimum 6, maximum 12; includes accommodations (country inns in the Monferrato and Langhe), all cultural visits, wine and cheese tastings, 2 tasting lunches, 2 dinners, transportation, guide and driver costs. Upon request, a tour of Casale Monferrato, Renaissance capital of the Monferrato, may also be organized. A visit to the city’s Baroque synagogue, with a member of the community as our guide, affords us the opportunity to learn more about the historic Jewish presence in this region. Other possible additions to this four-day excursion include a walk through Milan’s fashion district and a visit to the city’s main museums and cultural attractions.